If you have an energetic little kid, when meal time comes, you know you only have five minutes to work miracles, because this is how long she/he will sit at the table. My youngest is a good eater so he’s usually tempted to stay longer but my oldest, picky as he is, may want to escape dinner the second he sees what’s on the table. Even if hungry he’ll refuse to have more than one bite (the least we ask of him- in case of new dishes or when we know he doesn’t like the food) and wait until the next morning to satisfy his hunger. Distractions may work and it’s up to parents to choose the ones that do well for their kids. Do you engage them in conversations, close your eyes when they bring toys at the table or let them use electronics? What about coloring or playing games? 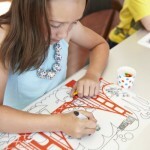 These coloring tablecloths for kids are absolutely fantastic and succeed in engaging children in unique ways at the table, without distracting but rather keeping them occupied while eating. They can be used for snack time, dinner time or parties. 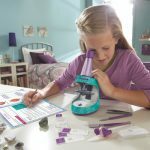 Turn them into a fun project to share with friends or an activity for a family night. 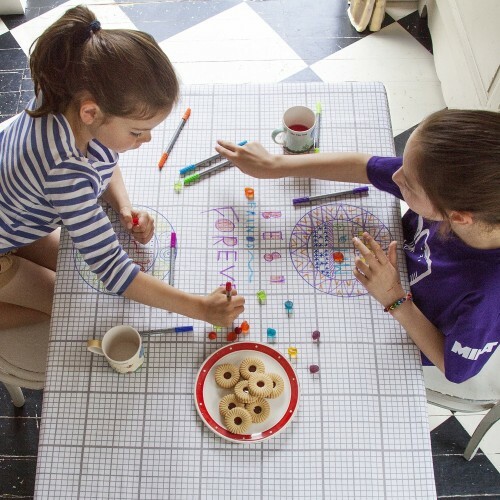 This doodle tablecloth looks like a giant piece of grid paper and can be used as one. To make the most of it you can color on one side, flip it over and color on the other side and only then throw it in the washing machine. Your drawings will come out but not the print on the tablecloth. This tablecloth is printed with festive wreaths, garlands and bows and makes a great addition to the Christmas table. 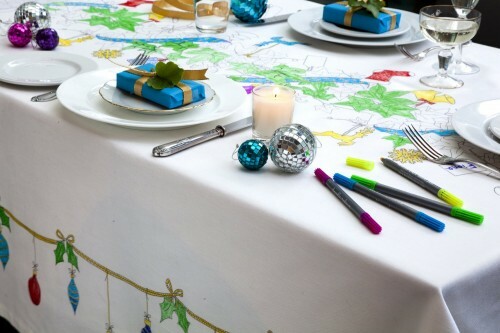 No need for a centerpiece, just hand out washable fabric markers to the guests and you’ll have a masterpiece in no time. 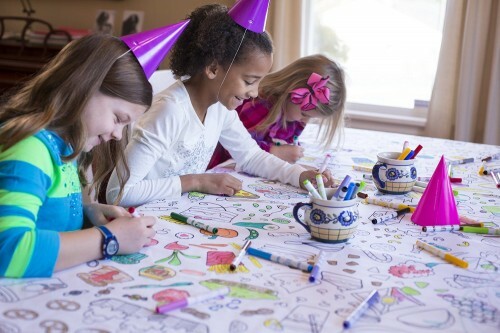 Use it for the kids table as well as the adult table, everyone will have lots of fun coloring. Another beautiful fabric tablecloth meant to gather families around the table for a fun time together. 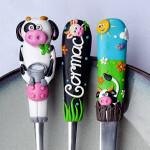 This one is printed with whimsical designs and comes in 3 sizes. This is not a coloring tablecloth but it serves the same purpose of engaging kids at meal-time. 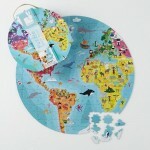 It is printed with math games for kids from 18 months to 6 years of age. It is made of PEVA which looks like vinyl but is PVC-free. 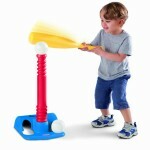 You can write on it using washable markers and then wipe it off with a sponge. 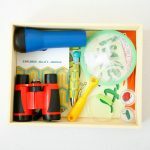 Check out the best non-toy gifts for kids and don’t leave without taking a look at these 5 coloring wallpapers for kids or kids coloring placemats.